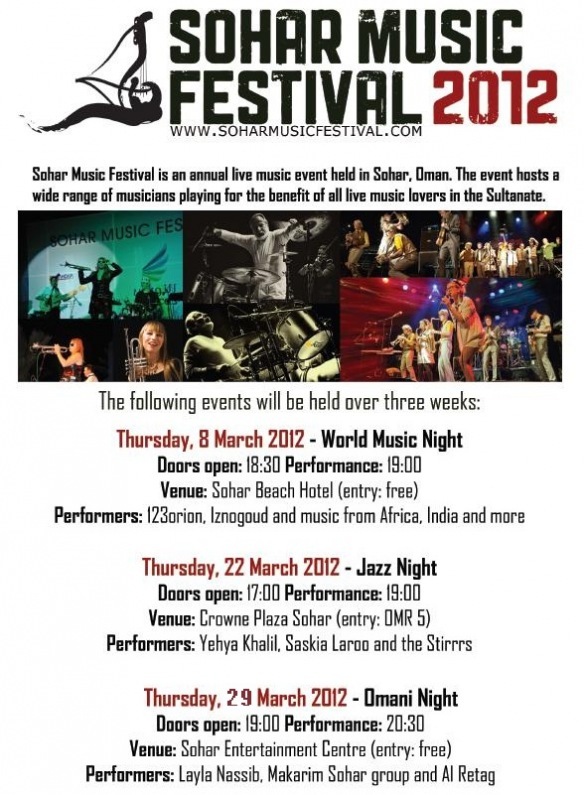 Starting this weekend, and running for the next 3 weekends, there is the Sohar Music Festival. So if you are up that end of the Batinah coast, it might be worth a look in over the next 3 weekends. Also, it looks like Putin has won the election to become President once again. He was president from 2000 - 2008, and now in 2012, he looks set for another 4/8 years in office. Cough-rigged-cough. 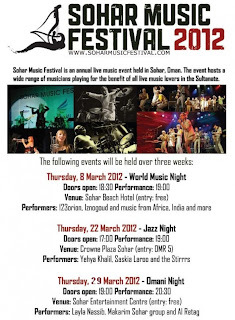 I think it is a great initiative and I suspect that people of Sohar appreciate a little bit of the limelight for a change. It is a pity though, that seeing as they have the artists here, that they don't do the following weekend in the Qurm amphitheatre and another weekend in Naseeb Park and even Sur or Salalah. Looking at the line-up many of the artists would be worth seeing in the park with a picnic during the day or in the evening with some world food stands instead of the usual shawarma stands.